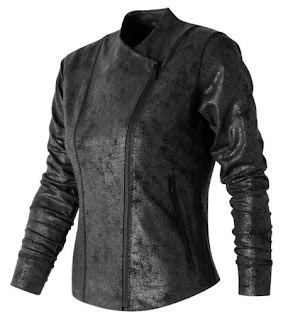 Head over for this Women's Bomber Jacket $39.99 (Retail $144.99). Made from soft, flexible fabric, our women's Printed Bomber Jacket offers a modern silhouette with a relaxed feel. An all-over distressed cire print means you can master the athleisure look with even more bold style, while asymmetrical metal zips add edge. Plus, NB Dry technology is sweat-friendly, meaning this yoga jacket easily moves from the street to the studio. Valid 4/2 or while supplies last.